Isn’t that the kind of warning you’d like to see if you have high blood pressure, or a heart condition? If you are one of more than half of Americans consuming the standard American diet, with high blood pressure you may want to kick the carbohydrate habit, and follow a more Mediterranean or Paleo diet. This along with exercise, adequate water intake and a few nutritional supplements can do amazing things for your body including: lower blood pressure, weight loss, lower triglycerides, lower LDL, raise HDL, increase energy, stamina and strength, and prolong a healthy life. I know, you are reading this and saying out loud,“ I have a pretty good diet. I exercise. Why do I still have these problems? Why am I still on these medications? Well, keep reading and ask yourself that again at the end of the article. Did you know that Dehydration causes the majority of cases of Essential Hypertension? Essential Hypertension is a condition in which dehydration from lack of water (or a constant American diet loaded with sodas and coffee) causes a loss in blood volume (because these drinks increase urination). The body senses the level of dehydration and in response tightens blood vessels so that adequate blood and oxygen is supplied to the cells. When lifelong drugs are used to loosen tight vessels, while the dehydration is ignored, your cells are starved for blood and oxygen. Keep in mind, that one of the body’s normal responses to dehydration is to try to retain water in the tissues, and may result in mild edema/swelling in the feet and legs or entire body. The pharmaceutical answer to this is to take a water pill, which furthers the dehydration and electrolyte loss. The real solution: drink pure water in an amount that is one-half your body weight, in ounces. Did you know that High carbohydrate/high sugar from the standard American cause damage to your arteries? This damage signals your body to produce triglycerides and cholesterol in order to tuck point the weakened areas of your blood vessels. (Without this tuck pointing action of cholesterol, aneurysms would surely occur more often than they do. This elevated cholesterol thickens the blood and cause a condition known as sludged blood. Moving this blood through the vessels is more difficult, so the heart must beat harder, with an increase in blood pressure. Lifelong heart, blood pressure, and cholesterol lowering drugs (while ignoring the diet) causes the heart to actually weaken, producing lowered blood pressure numbers, but a weaker heart muscle. While statin drugs are touted as the answer to high cholesterol “if diet and exercise aren’t helping”, how much is it really helping when you now have to consider liver damage and all the other side effects associated with these drugs? Does it make any sense to add a dangerous drug in the hopes of lowering cholesterol when the cause is dietary? And, by the way, there is no research to prove that these medications actually lower your cholesterol in a healthy way and almost 900 studies that discuss the harmful side effects. Side note: And what diet are they talking about? What kind of sound dietary advice have you ever gotten from your MD? And what kind of exercise? Did you know that Vitamin C is the only vitamin humans (and guinea pigs) can’t produce? You MUST get our vitamin C from our diet…but are you eating enough fruits and vegetables to get the vitamin C your body needs to function optimally? Natural vitamin C complex is needed to carry oxygen in the blood through the blood vessels to the cells. If we eat the good old American diet, we are surely, at least sub clinically deficient in vitamin C. The result is decreased oxygen to the cells. The body’s response to this is to speed up the heart rate in order to pump more blood to the cells. (more blood=more oxygen). Heart and blood pressure drugs to lower heart rate and blood pressure (while ignoring the vitamin c deficiency) take away the heart’s compensatory action of trying to get more oxygen to the cells. The result…exhaustion and fatigue. High insulin levels, high blood sugar and viral and bacterial infections damage blood vessel linings. Vitamin c is essential in maintaining the strength and flexibility of the blood vessel walls. Lack of vitamin c over time cause blood vessel walls to weaken (like an old tire). The body’s way of patching this weak area in the absence of collagen building vitamin c, is to use cholesterol which plaques the arteries. The long term affect of this is clogged arteries or arteriole sclerosis which leads to heart attack, stroke and aneurysm. Did you know that the body’s normal response to stress is to raise blood pressure, stress hormones, blood sugar and blood cholesterol levels? Because the human brain is still primitive, it can not distinguish between emotional stresses or survival stress like the kind of stress cave people had to endure (such as when running from a saber toothed tiger). If you needed to outrun a tiger, you would need more blood to be pumped to your legs for strength and speed (increased blood pressure), you would need more oxygen exchange in the tissues to fend off fatigue (increased heart rate), you would need a fuel source so stored fats and sugars would be released into the blood (increased blood sugar levels, increased cholesterol and triglycerides), and you would need to be very alert without the bother of feeling pain if an injury occurred (increased adrenaline and cortisol levels). Ah….but you aren’t running from a tiger are you? But the body doesn’t know the difference, and this physiological change is going to happen whether you want it to or not. The solution in this scenario is stress management and exercise. Exercise will allow you to ‘burn off’ the adrenaline, sugars and fats and give the heart a reason to pump so hard. Other hormones after exercise are released that reduce muscle tension, heart rate, and blood pressure and return your body back to normal. Stress management can be handled in many ways. Why not talk to someone, even a professional someone about what’s bothering you, or try meditation or yoga. All work great! Now, you likely need some supplementation too. After years of not getting enough nutrition form your food, you are going to need to supplement in order to jump start the changes you need to happen. Did you know that chronic stress depletes B vitamin, Vitamin C and other essential minerals? I don’t care who you are, there are some essential nutrients everyone needs to supplement with – including ME! I a whole food multivitamin to all of my patients. I am choosy about my multi because I don’t want mega doses of anything but it needs to cover a wide range of nutrients. I always have multivitamins for men and women available, and the ones for men are not the exact formulation as the ones for women. Men and women have slightly different needs. For extremely high blood pressures and to aid someone who wished to get off medications I might utilize a product containing hawthorn berry which works like an ace-inhibitor, and garlic to lower blood pressure and cholesterol. Garlic also has an anti-cohesive property (as does Ginkgo) and can be substituted for aspirin. Omega 3 fatty acids are another essential, but will also lower cholesterol naturally. IF you have a weak heart muscle and have been on heart medications a long time, I recommend calcium lactate to strengthen the heart muscle and fend off osteoporosis can be added to the mix. Other changes can be made if you are also trying to correct diabetes and normalize blood insulin and sugar levels or to balance female hormones. 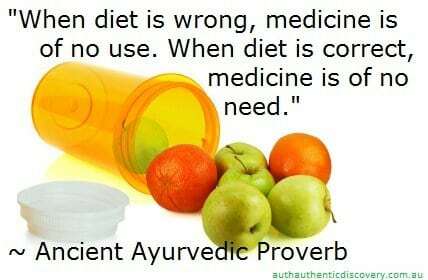 To get well you can not treat symptoms while ignoring the underlying causes of disease, much of which is a direct result of the standard American diet and this idea that a medication will protect you while you continue to harm your body. It just won’t work. The question your doctor may not want you to ask is “what happens when I stop the drugs?” This causes a lot of trepidation because the answer is “you will be right back to square one, no better, and perhaps a little worse.” Although given the side effects of cholesterol lowering medications and their lack of effectiveness, you’ll actually be better off without those. So, you’ve read nearly to the end. What do you think? Are you really doing everything you can to improve your health? Do you need some help? If you want to change your health – really change your health and add years to a healthy life you have to take charge and responsibility and stop relying on drugs to fix problems that aren’t drug related. Functional medicine, which is what I practice, asks “why are you in this state of health?” The answer is almost always lifestyle choices lifestyle is what needs to change in order to regain your health. I have never had a patient who did everything I told them to do, and didn’t end up having amazing results in their health, including reduced cholesterol and blood pressure. These results often leaves their family doctor wondering just what I ‘gave’ them to achieve such a change. What I gave them was sound dietary and lifestyle advice, better nutrition, guidance and accountability.